If you have questions / wonder about pace and heart rate in the 100 day plan then this is a summary of this. You can see what others have asked, right below on this page. It can be questions about how to run with marathon pace or heart rate - Effort questions or just more general thoughts on pace / heart rate training. Effort 3 in the beginning. Effort 4 towards the end. Session Question : The 10 x 30 sec effort. 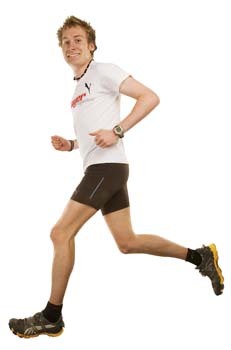 Proper running form and RPM??? Regarding: Mismatch between HR values and pace? Mismatch between HR values and pace? Ice baths immediately after hard training?